Red-ribbon moment: (Left to right) Heinemann Hong Kong General Manager Victor Chan; Airport Authority Hong Kong General Manager Retail Experience, Retail & Advertising, Kitty Lo; Heinemann Asia Pacific CEO Marvin von Plato; Airport Authority Hong Kong Executive Director, Commercial Cissy Chan; Airport Authority Hong Kong General Manager, Retail & Advertising Alby Tsang ; and Heinemann Asia Pacific COO Johannes Sammann. 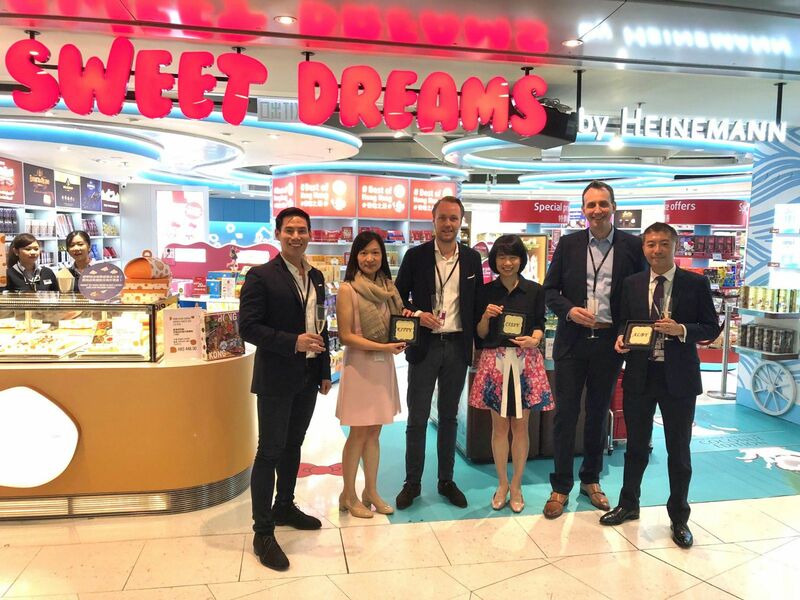 On July 4, Heinemann Asia Pacific celebrated the Grand Opening of its Sweet Dreams by Heinemann stores at Hong Kong International Airport. The inauguration represented a first on two counts. 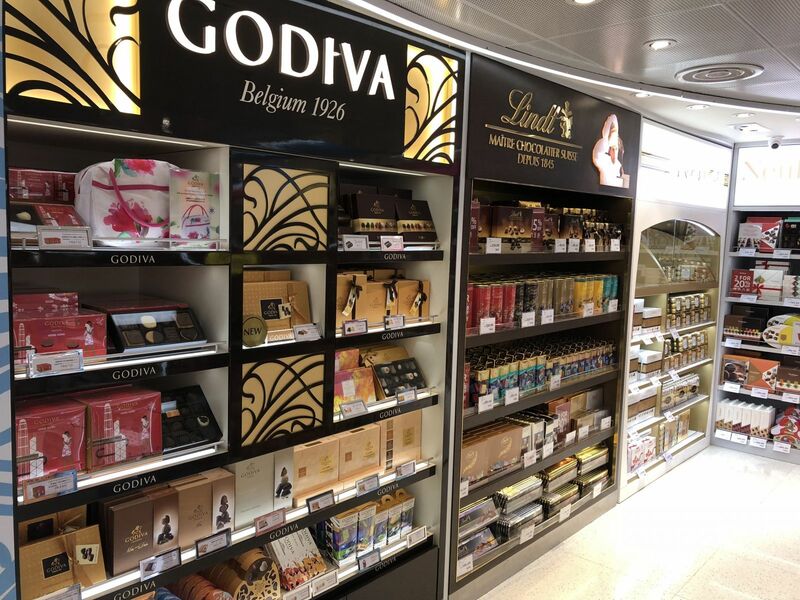 It was the German travel retailer’s debut at the Hong Kong gateway, and for Airport Authority Hong Kong it was the realisation of a decision taken in late 2016 to split confectionery away as a separate concession from the former airside general merchandise contract. 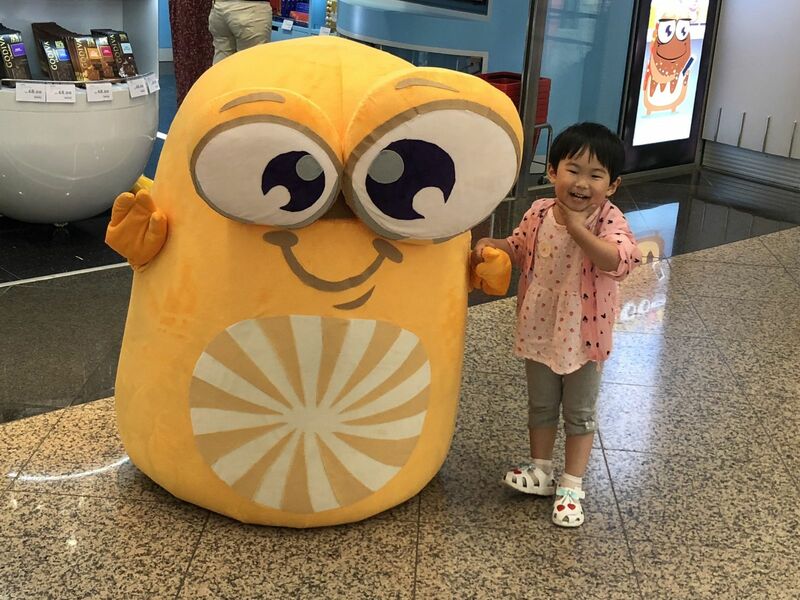 Martin Moodie and Melody Ng were on location as the celebrations got under way and bring you this special report via words, audio, video, pictures and social media. 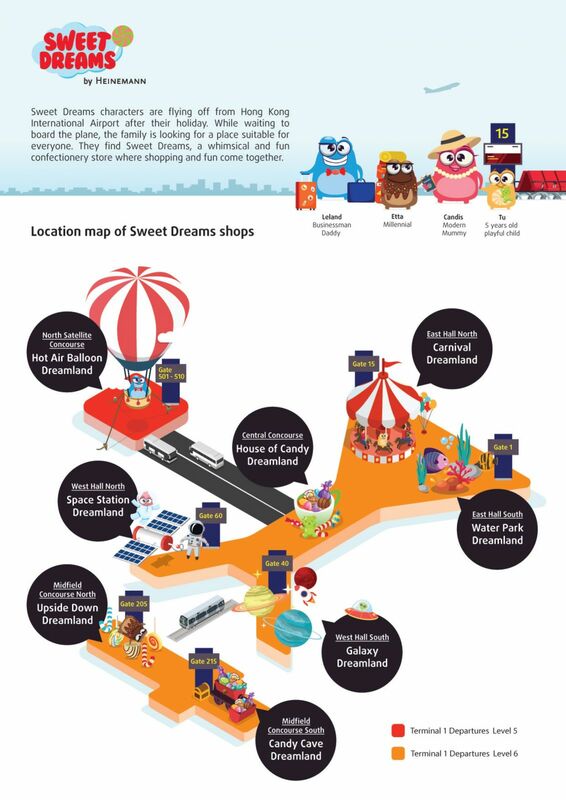 A walk-through video view of Water Park Dreamland, one of eight separately themed confectionery stores from Sweet Dreams by Heinemann. 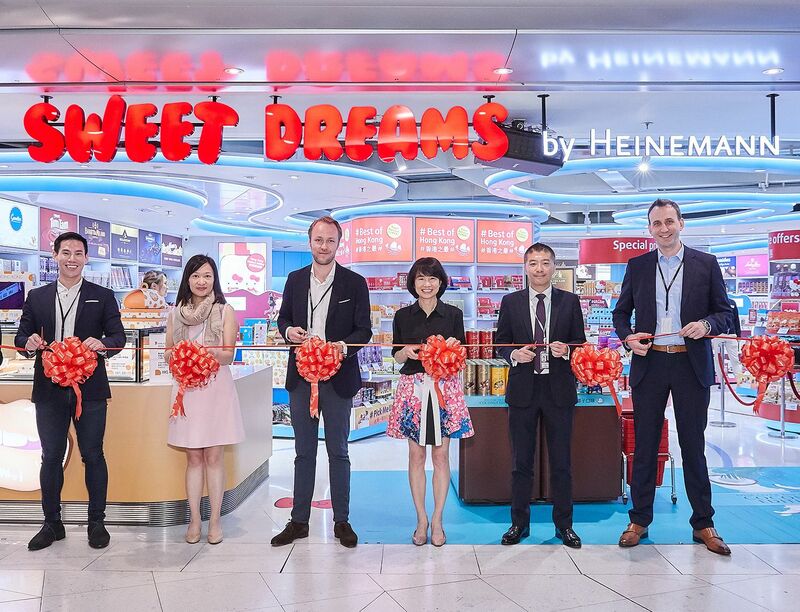 The Grand Opening of Sweet Dreams by Heinemann represents a vindication of Airport Authority Hong Kong’s decision to break out confectionery as a stand-alone concession from the former all-embracing airside general merchandise contract. Martin Moodie narrates this film of Carnival Dreamland, a riot of colour and fun for young and old. 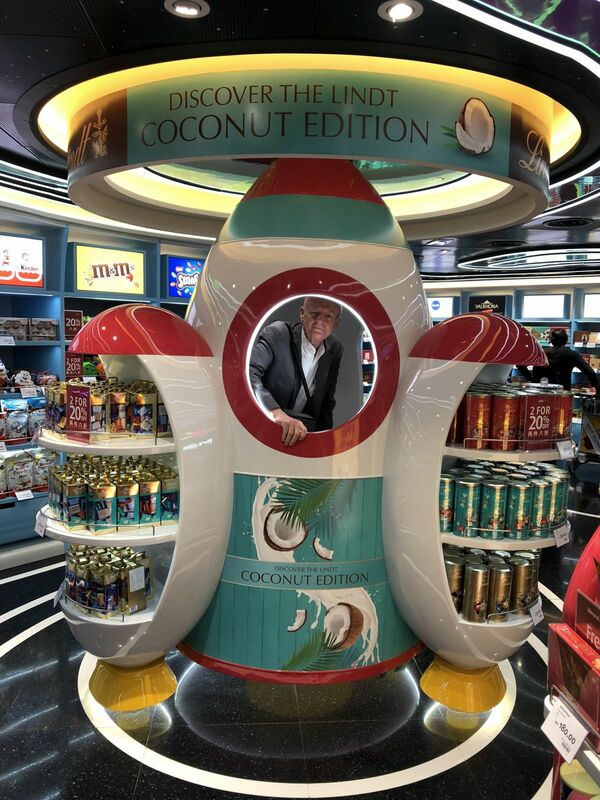 Destination Hong Kong: Themed local products and packaging are central to the offer. 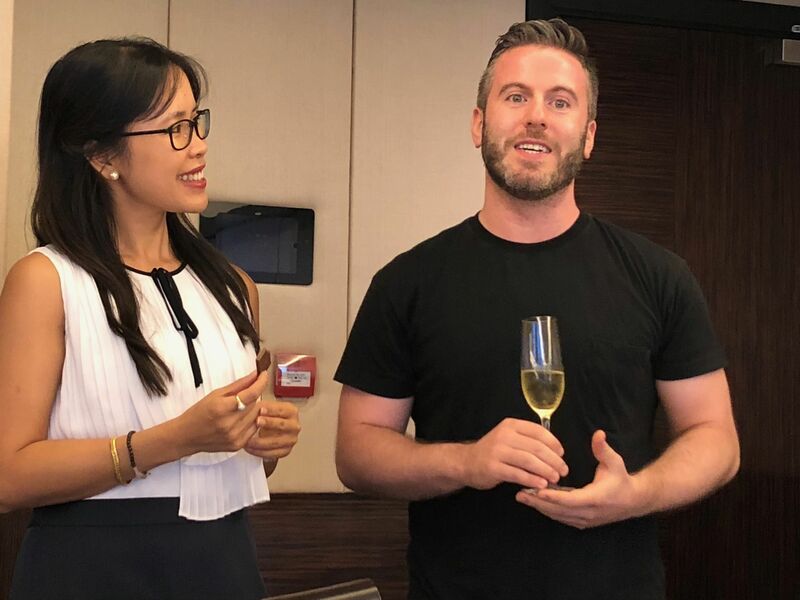 Click above to listen to Heinemann Asia Pacific CEO Marvin von Plato sum up the importance to the company of its newest Asian operation. 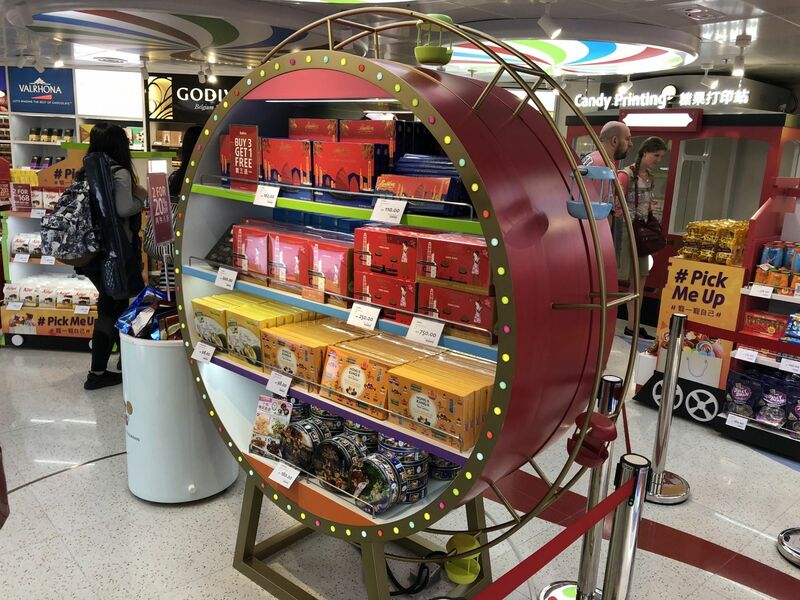 Heinemann has recognised the universality of confectionery’s appeal across demographic profiles and served up a tasty fusion of 21st century interactivity with the traditional sense of wonder that a sweet shop filled with goodies evokes in all of us. 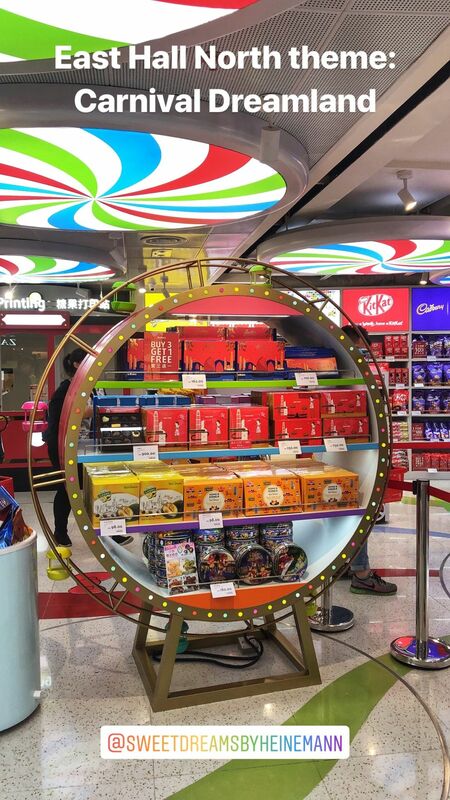 If you're going to engage with consumers in a confectionery store, it's a good idea to start with the young. 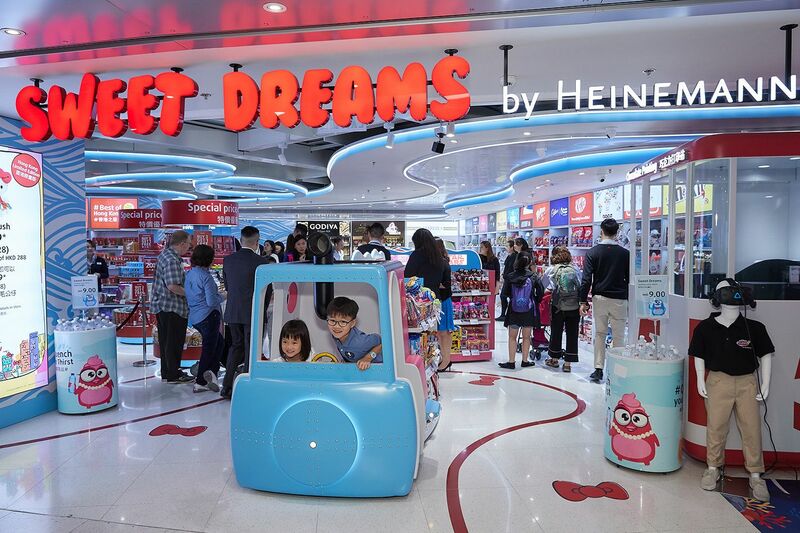 Heinemann doesn’t make its HKIA debut as a generalist retailer. Here it is an out-and-out specialist.  It simply has to make the category come alive. 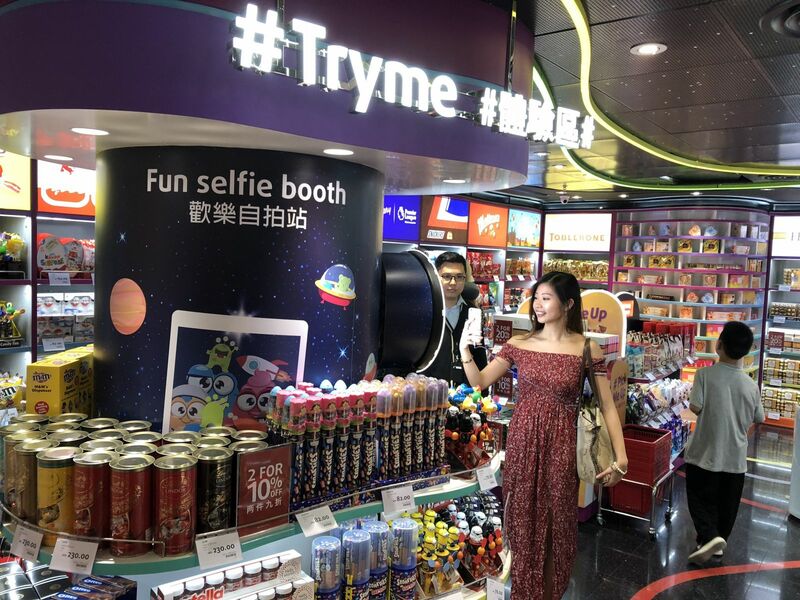 It has to lure travellers into the store as curious browsers and send them away as satisfied shoppers. 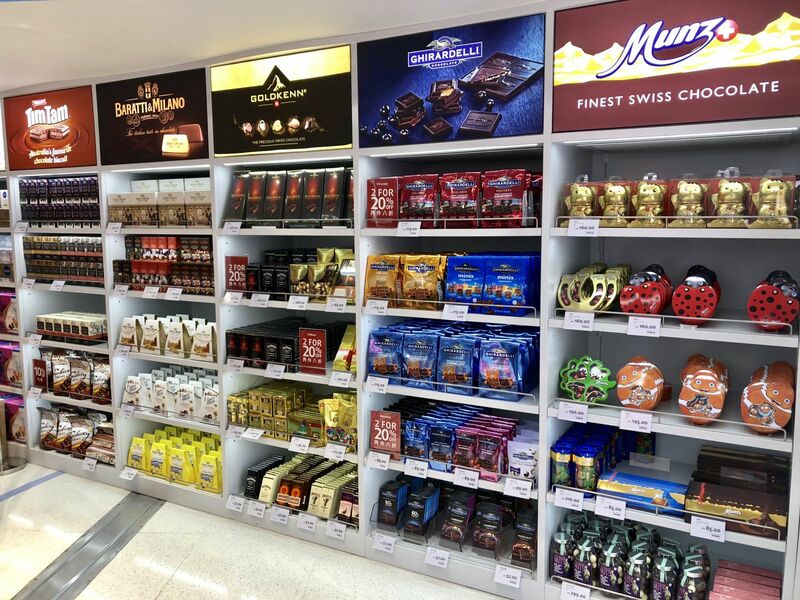 By backing its hunch that a dedicated retailer, undistracted by other businesses, could make confectionery take off, Airport Authority Hong Kong potentially transformed the category landscape here. It just needed a retailer to take up the challenge. 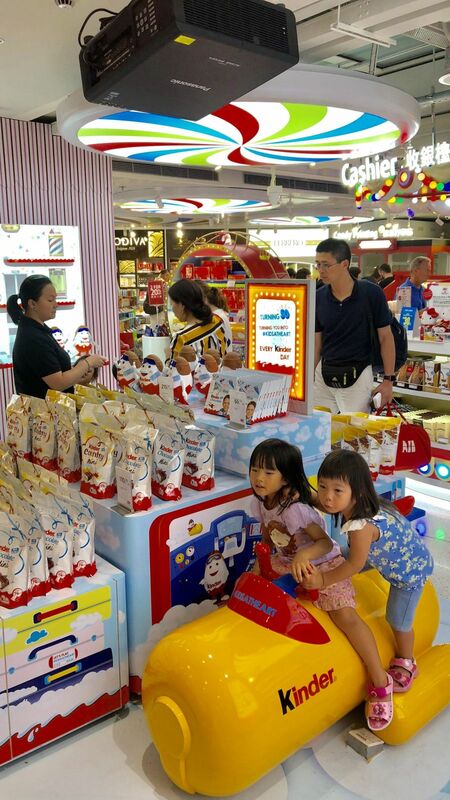 In its tender, the authority demanded fun, flair and consumer engagement. Despite the constraints posed by sometimes less than optimum retail spaces, featuring low ceilings and shallow confines, Heinemann has responded with imagination and no little daring. 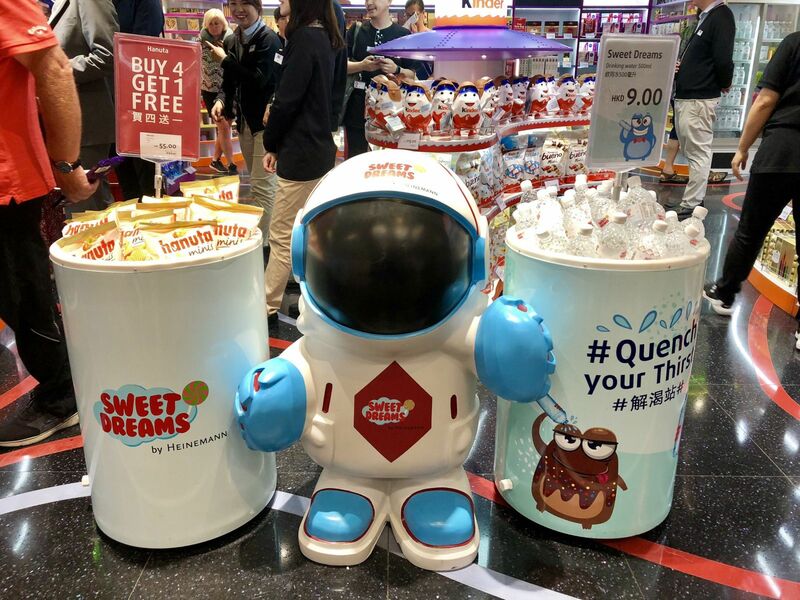 It has recognised the universality of confectionery’s appeal across demographic profiles and served up a tasty fusion of 21st century interactivity with the traditional sense of wonder that a sweet shop filled with goodies evokes in all of us. 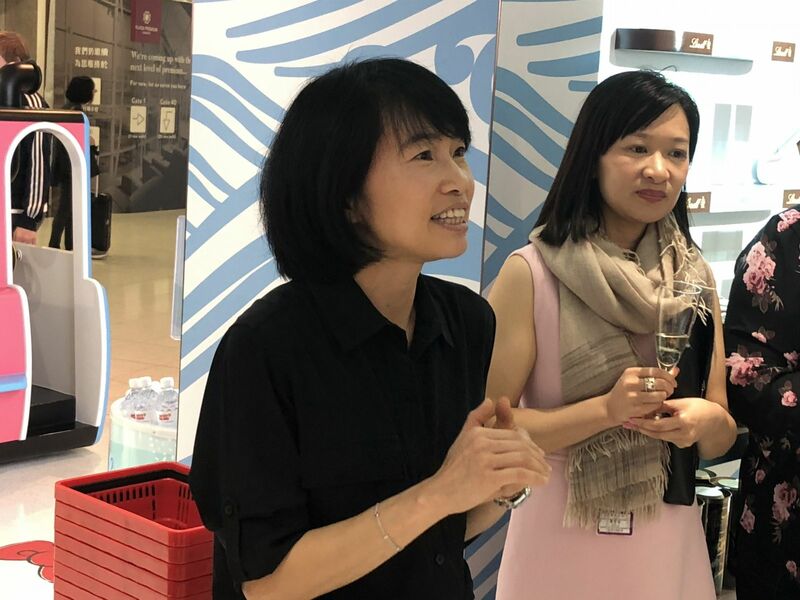 “A multi-sensory and multi-dimensional experience” – Click above to listen to Heinemann Hong Kong General Manager Victor Chan talk about excitement and discovery in-store. 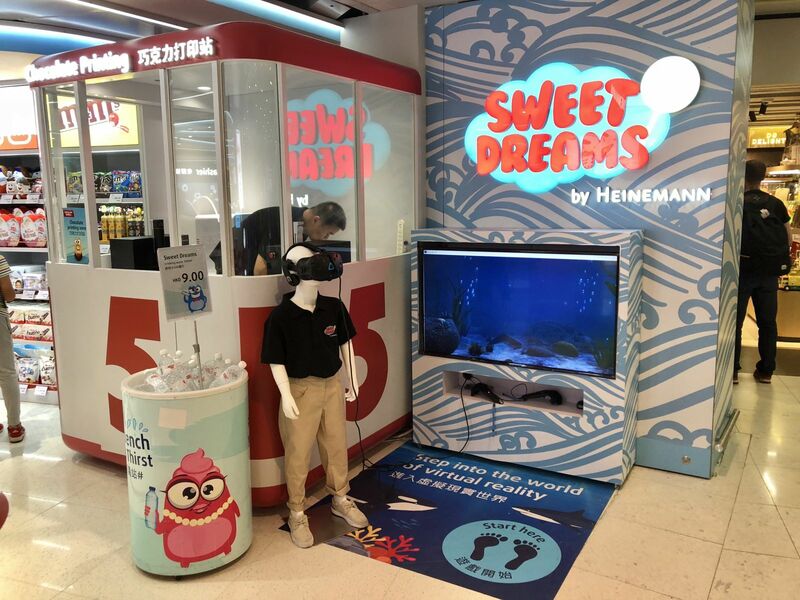 It's not just the main stores that are getting the Sweet Dreams by Heinemann treatment. Here we visit one of the themed satellite shops. 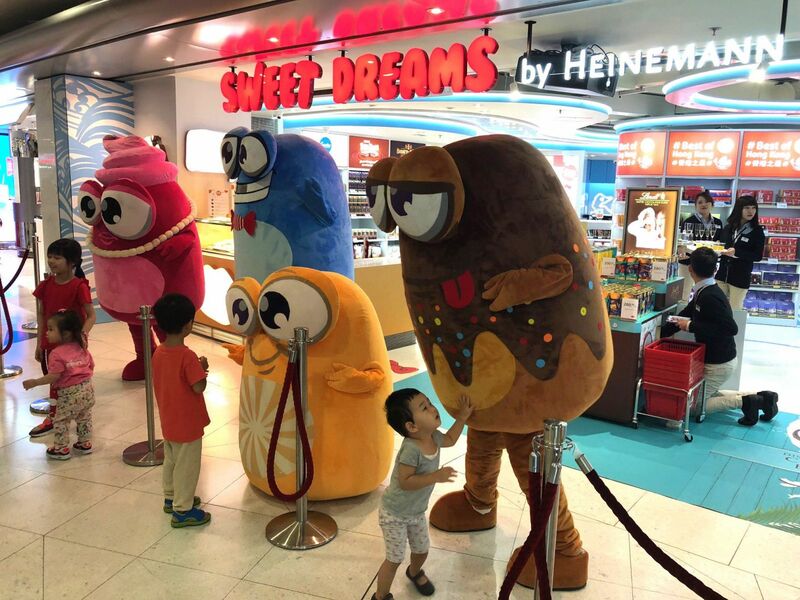 Mascot mania: Sweet Dreams by Heinemann has introduced a quartet of mascots who represent four key target consumer profiles. 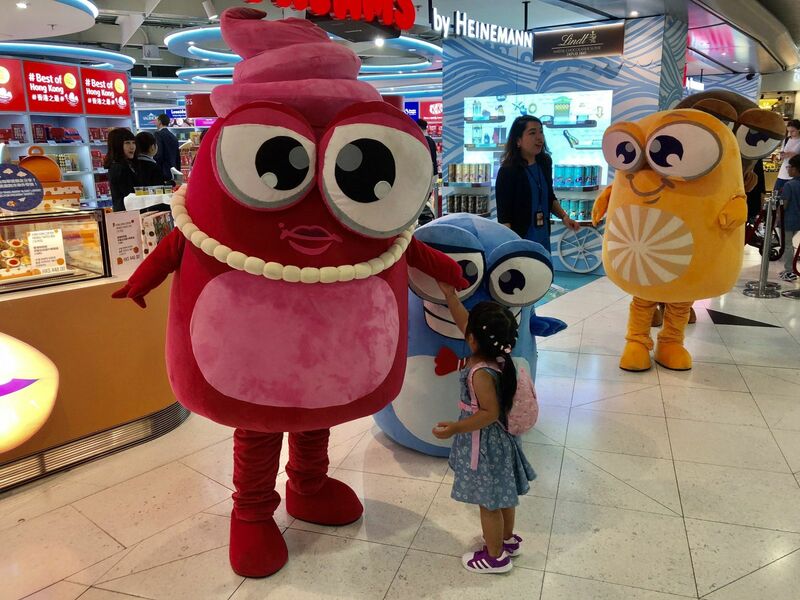 They are Candis (Modern Mummy, in red); Leland (Business Daddy, in blue); Tu (a playful, yellow-hued 5 year-old child); and Etta (a Millennial, in brown). 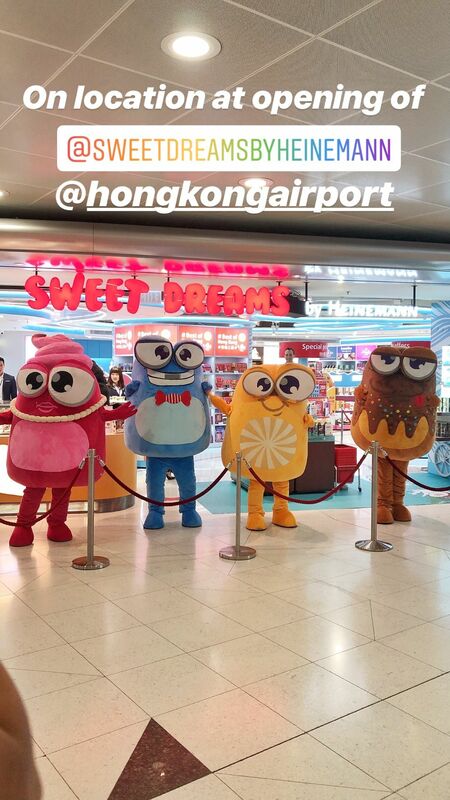 These images capture the delight that the four engendered among some of Hong Kong International's younger travellers. 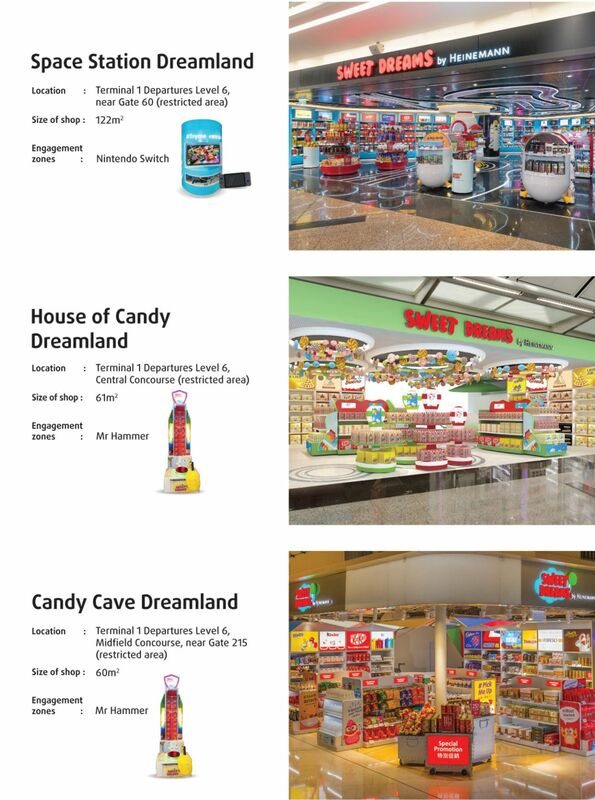 “I have to thank you [Heinemann] for these eight very pretty stores. 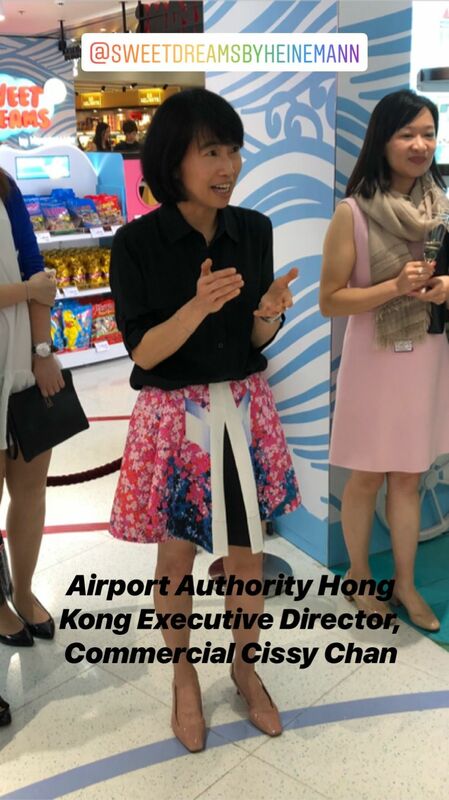 In fact they are even prettier than the very impressive renderings we saw in the tender submission," said Airport Authority Hong Kong Executive Director, Commercial Cissy Chan (left), pictured with Airport Authority Hong Kong General Manager Retail Experience, Retail & Advertising, Kitty Lo. 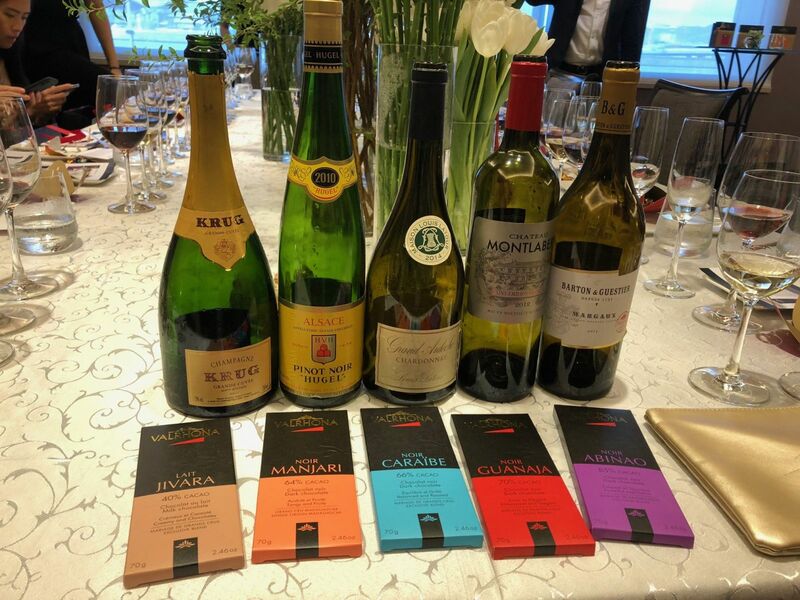 Does fine chocolate go with fine wine? 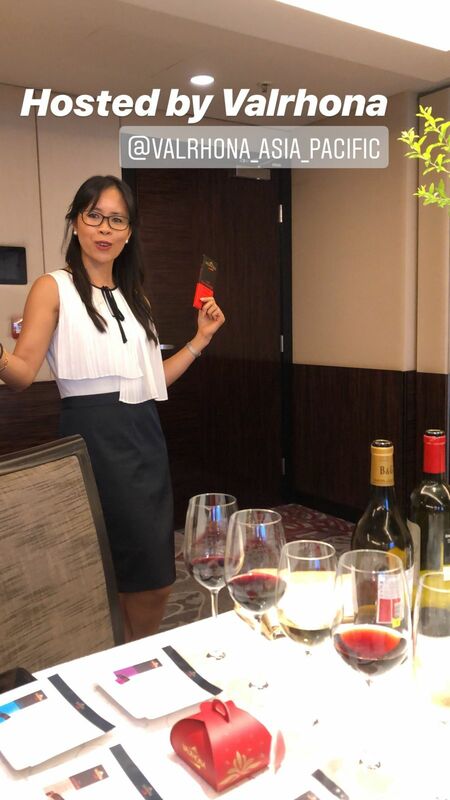 That was the question posed during a fascinating tasting hosted by French premium chocolate house Valrhona and Heinemann Asia Pacific, led by Valrhona Travel Retail Manager Faozia Math-Ly-Roun and Hong Kong wine expert Elliot Faber. The answer? An emphatic yes. Signs of the times: Colourful signage around the concourse cleverly helps drive footfall into the stores. 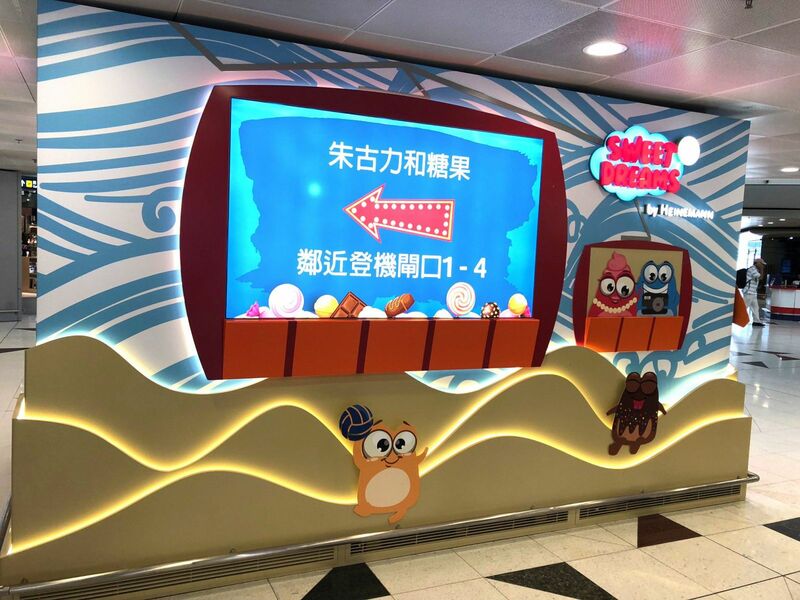 Everywhere the emphasis is on consumer engagement and interactivity. Millennials matter says Heinemann. Now that's what you call the personal touch. 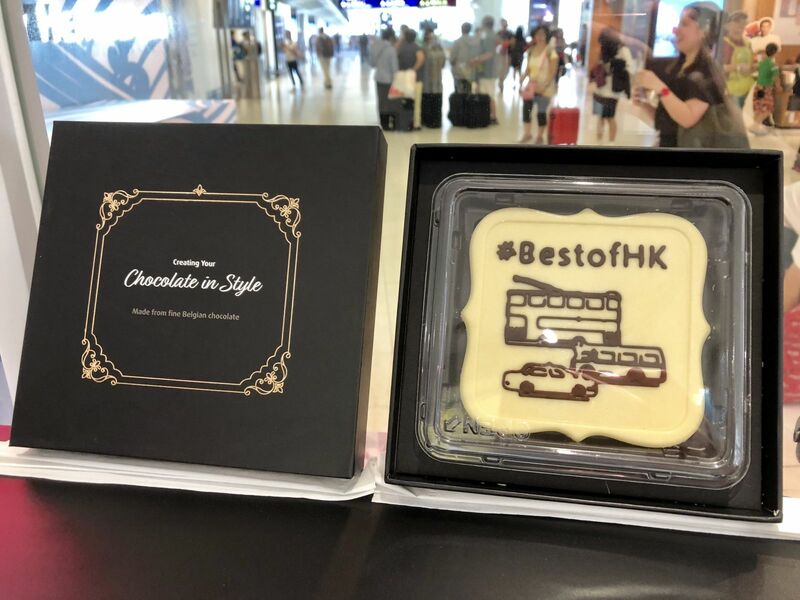 Airport Authority Hong Kong management are presented with chocolate printed with their names. Personalisation is key to the Heinemann approach. 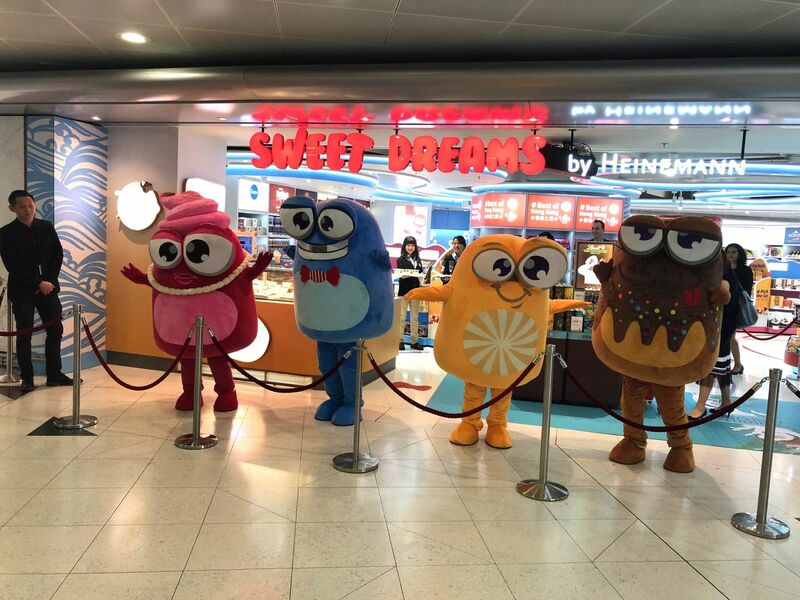 A brand emporium: Sweet Dreams by Heinemann offers a tantalising mix of international and local flavours. 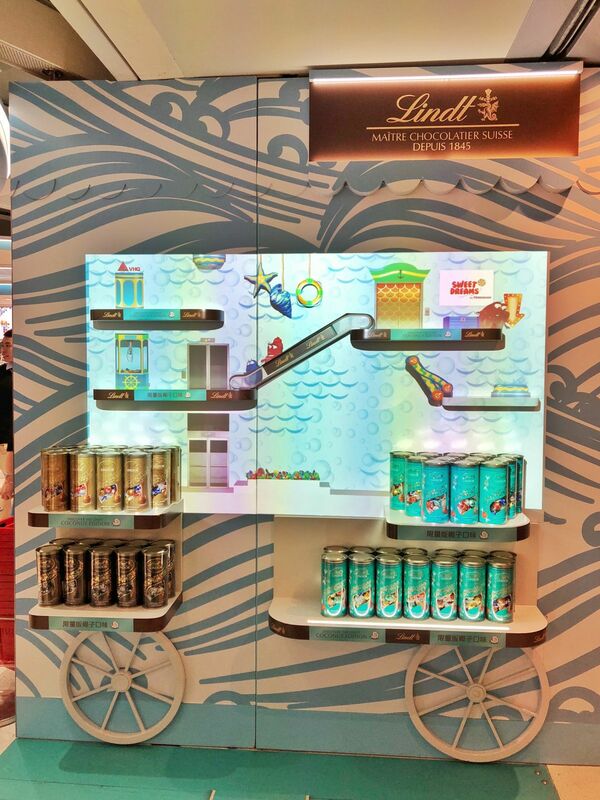 (Left) A brilliant digital animation adds energy to this high-profile promotion; (Right) Lift-off for Lindt: This brilliant installation brings you retail space with a difference, though we're not convinced about the pilot's credentials. 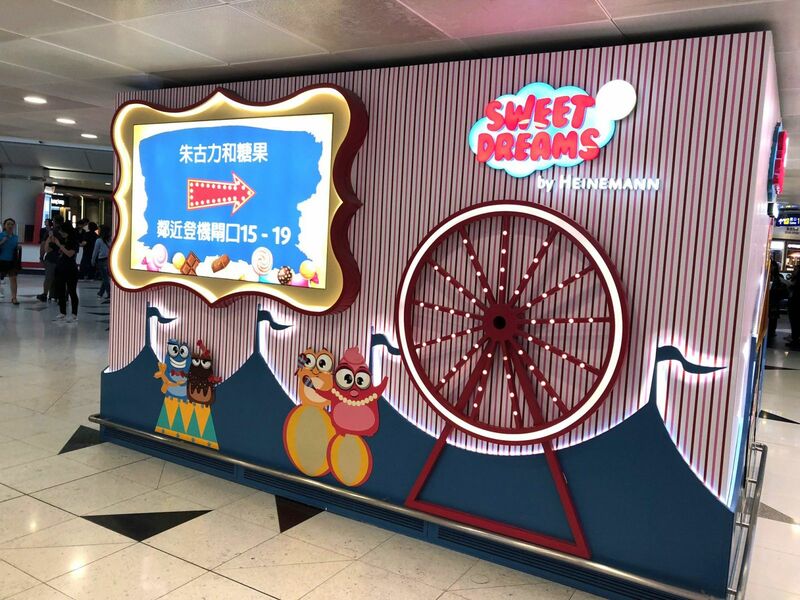 Colour, fun, interactivity: Sweet Dreams by Heinemann is a bold attempt to add vibrancy to a category that often lacks spark in airports. 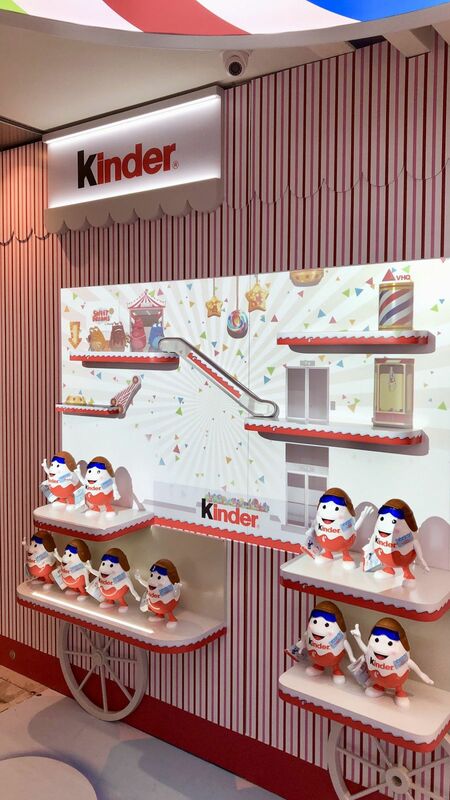 High-profile promotions, such as this dazzling execution from Ferrero's Kinder brand, are played out across multiple digital and physical touchpoints. 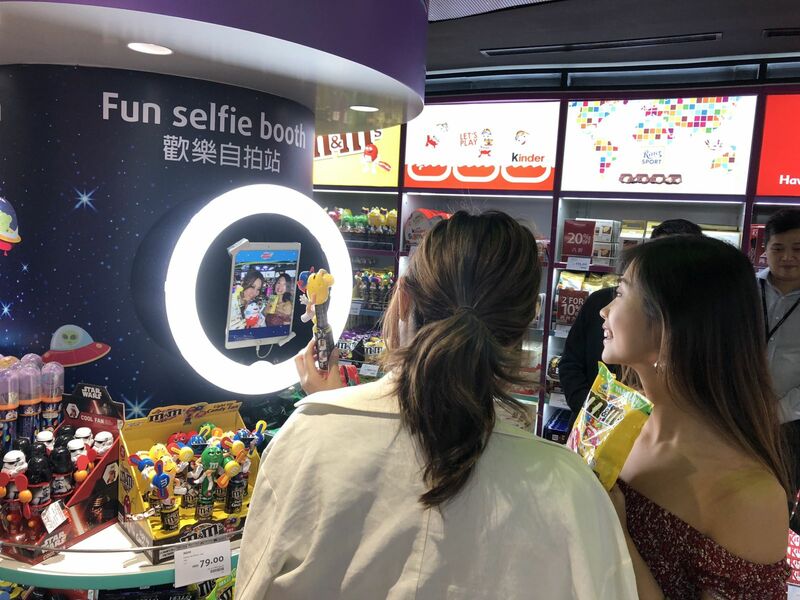 The Moodie Davitt Report's Asia correspondent Melody Ng brought the Grand Opening to life with intensive social media coverage, notably on Instagram Stories.